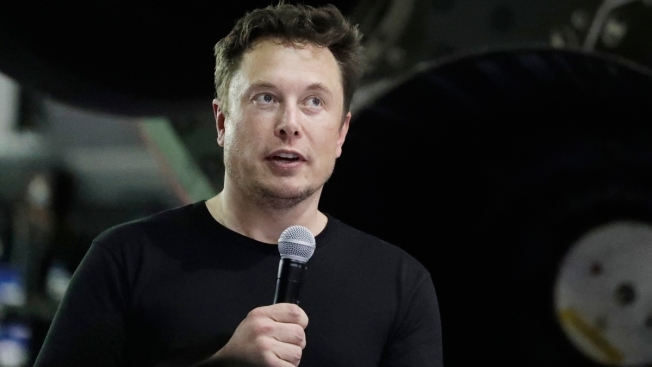 The motion to dismiss claims Musk's public apology to diver Vernon Unsworth was an attempt to "end the war of words"
In this Sept. 17, 2018, file photo, Tesla and SpaceX founder and chief executive Elon Musk speaks in Hawthorne, Calif.
Lawyers for Elon Musk on Wednesday filed a motion to dismiss a lawsuit against him related to tweets calling a British rescue diver a "pedo guy," saying the comments were exaggerated and Twitter itself is "infamous for invective and hyperbole." Diver Vernon Unsworth sued Musk in September for libel and slander and is seeking at least $75,000 in compensatory damages. The legal back-and-forth drags Musk's antics back into the spotlight, after a tumultuous year for the CEO and Tesla. In the filing, Musk's lawyers say he was defending himself and his companies in taking jabs at Unsworth on Twitter. 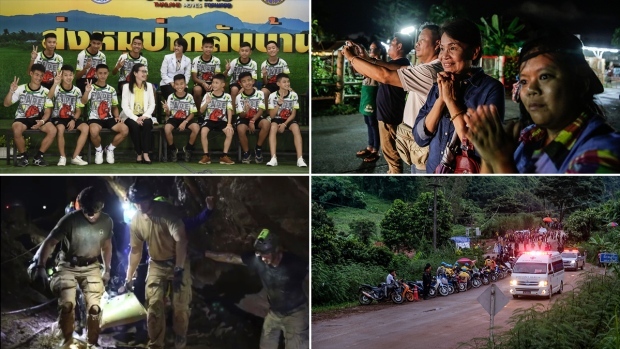 The diver had publicly questioned Musk's efforts to help rescue a Thai boy's soccer team that was stranded in an underwater cave. "Shocked by Unsworth's indefensible and baseless attacks, Musk answered to defend himself and the efforts of SpaceX, Tesla, and the Boring Company employees who had given up their days and nights to help find a solution," the motion to dismiss says. "Musk took to Twitter — a social networking website infamous for invective and hyperbole — to respond." Here's how Elon Musk's behavior could impact the future of Tesla from CNBC. Unsworth's attorney Lin Wood said in a statement to CNBC said he was confident the case was move forward. "I entirely reject Mr. Musk's frivolous contention that all statements published on Twitter or other social media are protected speech. I am confident the trial court will likewise reject this fanciful position which if adopted, would effectively prevent an individual from seeking redress for any and all false and defamatory attacks on reputation published on the Internet," Wood said. The motion to dismiss claims Musk's public apology to Unsworth was an attempt to "end the war of words." It also notes a BuzzFeed article from September that included further comments about Unsworth from Musk. Musk labeled the comments as off the record, but BuzzFeed claims it never agreed to that stipulation. As part of his insults, Musk included a hyperlink to a Google search of "Chiang Rai child trafficking." Musk theorized that Chiang Rai "isn't where you go for caves, it's where you go for something else." Culminating this long wind up, Musk caricatured Unsworth as having a "child bride who was about 12 years old." Musk closed by answering Unsworth's lawyer's threat: "I hope he f---ing sues me." Even though Musk designated the e-mail as "[o]ff the record," the BuzzFeed journalist decided to publish it anyways. The journalist described Musk's bombast as "evidenceless criticism" of Unsworth. While many readers criticized Musk for lodging what they understood to be groundless accusations (and criticized Unsworth for disparaging Musk and his team's efforts to help), not a single reader seemed to construe Musk's statements literally. Shortly thereafter Unsworth filed this lawsuit, claiming that Musk's statements were defamatory. Musk now moves to dismiss.